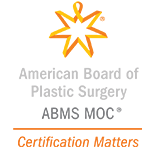 LIPOSUCTION - Henderson, NV | Dr. Minoli John J. Minoli M.D., F.A.C.S. Women and men have strived for a sound mind, a sound body, and a pleasing shape throughout history. When we have these, we need little more; and when they are wanting, we are the worse for it. When diet, exercise & weight-watching leave you short of your ideal aesthetic body shape, contouring through liposuction may provide a way. Liposuction is particularly well-suited for women and men who are of relatively normal weight but have isolated fat pockets that cause specific parts of their body to look disproportionate. These localized fat deposits may sometimes be an inherited trait unresponsive to diet, exercise & weight-watching: Liposuction is one of the most effective ways to eliminate them. Common areas treated with liposuction include: the neck, upper arms, breasts & chest, back, abdomen, waist, flanks, hips, buttocks, thighs, calves & ankles. 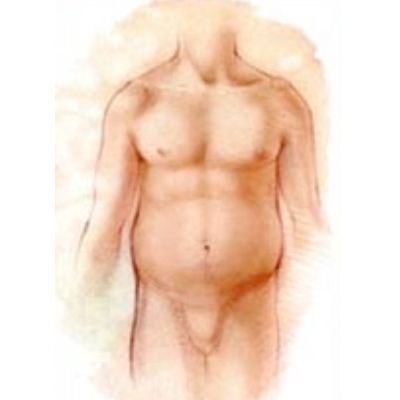 Interestingly, liposuction may even be used at times to treat gynecomastia (male breast enlargement) which frequently occurs among teenage and young-adult males. Dr. Minoli can perform liposuction on several areas of the body at the same time – and can also perform liposuction simultaneous with other procedures. Some patients are treated under local anesthesia; others require general anesthesia under the care of a board-certified anesthesiologist. Liposuction has been a ground-breaking, safe surgical operation for the permanent removal of fat since 1979. It is a vacuuming process during which small tubes are carefully placed into the fat (under the skin) and guided to precise areas for the permanent removal of unwanted fat. Ideally, the overlying skin has enough basic elasticity to firm up in the months that follow liposuction. Of course liposuction should not be considered a substitute for overall weight loss – nor is it an effective treatment for cellulite per se (i.e., a condition which gives skin an uneven, dimpled appearance). While it is possible to undergo liposuction at almost any age, best results usually occur when a person has good skin elasticity. When skin is inelastic, as in some older patients, it may not re-drape so well: Instead, more dramatic skin tightening procedures may be needed. 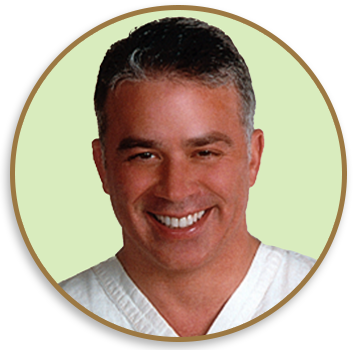 Dr. John Minoli offers you years of trusted expertise in the variations of liposuction surgery. 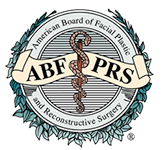 He is multi-board-certified in aesthetic surgery and for decades has treated thousands of patients, not only in Las Vegas but also in several other regions of the United States. 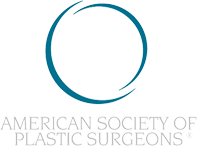 As modern medicine offers safer operative choices & techniques for liposuction, Dr. Minoli continues to adapt his practice accordingly through extensive continued surgical education and experience. A personal consultation with Dr. Minoli may help you further appreciate if body-contouring liposuction is right for you. For your comfort & safety general anesthesia is administered by a board-certified anesthesiologist when necessary, and Dr. Minoli performs these procedures at an accredited ambulatory surgery center nearby. Of course, certain patients are candidates for liposuction under local anesthesia in our office. In any event, appropriate prescriptions medications are provided for preoperative & postoperative home use (e.g., antibiotics, muscle relaxants & pain killers). Liposuction is popular among men, particularly for reducing a bulging waist. Liposuction is used to treat areas of the body which are shown above. These include delicate areas such as the inner knees, calves, ankles, buttocks & hips. Each of these areas can be lipo-suctioned with a very thin cannula to achieve a more shapely contour. The abdominal area responds well to treatment with liposuction, resulting in a flatter abdominal profile and better-defined waist. In some patients, liposuction of the upper arms may also be effective. Liposuction can remove fatty deposits in the jowl and neck. Traditional liposuction incisions are very small (usually less than 3 mm. ); and they are typically placed in hidden areas & natural creases so that they heal in a near-imperceptible manner. Of course, the liposuction incisions are mere access points to the underlying fat where the business-end of liposuction occurs – where true permanent fat-cell removal and direct inner-body re-shaping happens. Great care is taken to shape and sculpt the body during fat removal. Results hinge not only on removal but upon remains left behind. 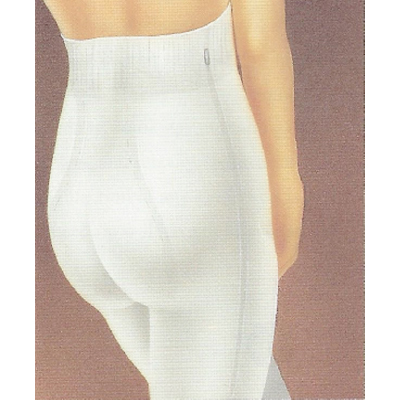 A variety of technologies can aid the in the removal of fat. This includes the surgical application of laser & ultrasound devices as well as the traditional use of simple vacuum-suctioning. Liposuction entry site-incisions are either expertly sutured for a meticulous final skin closure or in some cases just allowed to heal naturally without a stitch because the incisions are so small in the first place. WHAT TECHNIQUES ARE USED TO PERFORM LIPOSUCTION? 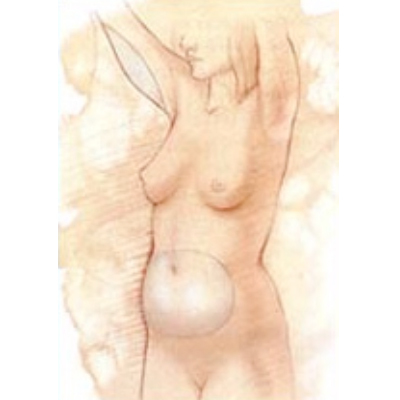 Fat is removed through a small hollow tube (a cannula) which is inserted through one or more tiny incisions. These entry points are placed near the fatty area and are positioned as inconspicuously as possible (e.g., within skin folds or natural contours). Flexible tubing connects the cannula to the vacuum. The surgeon’s hand then guides the suction apparatus in removing fat and re-shaping the region. SOME VARIATIONS ON THE THEME OF LIPOSUCTION – Prior to performing liposuction, a dilute anesthetic fluid is instilled into the treated area. Plastic surgeons may use a “dry” technique without the use of any anesthetic fluid. More commonly, the dilute anesthetic fluid is instilled in varying quantities to help create different intraoperative effects: If a moderate amount of dilute anesthetic fluid is used, the technique is referred to as a “wet technique.” And if large, even copious amounts of dilute anesthetic fluids are used, the technique is referred to as a “tumescent technique.” Dr. Minoli will discuss with you the recommended methods for treating specific areas of your body. These considerations are based in part upon realistic goals that you and he set. ARE YOU A GOOD CANDIDATE FOR LIPOSUCTION SURGERY? Your consultation likely will include a discussion about your overall goals. What do you wish to achieve through liposuction? You will be asked if you had prior surgery of your body. Your current weight, diet & exercise regimen will also be amongst the considered factors. Dr. Minoli will examine your body. 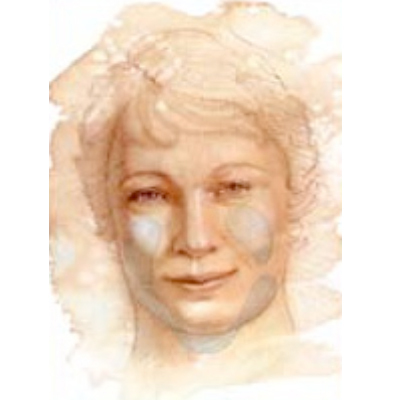 Your skin tone and the degree of laxity will be assessed … as well as the amount of fat in given areas. Pre-existing scars will also be evaluated. WILL YOUR INSURANCE HELP COVER THE COST OF LIPOSUCTION SURGERY? Liposuction surgery is typically a cosmetic procedure and, as such, is not covered by most insurance companies. In rare instances a fatty deposit may be causing a functional problem, and as such, reimbursement may be available…but for liposuction, this would be rare. Many factors determine your eligibility for coverage, including the specific terms of your insurance policy. Dr. Minoli & his staff will discuss these matters with you. The subject of risks and potential complications of surgery is best discussed on a personal basis between you and Dr. Minoli & his staff. Fortunately, significant complications from liposuction surgery are uncommon – this takes into consideration thousands of procedures worldwide. As benefits are considered, so too are specific risks: These include the possibility of bleeding, infection, bruising, prolonged discoloration, swelling, numbness, reactions to anesthesia, painful or unattractive scarring, contour irregularities, fluid collections, tissue loss, need for further surgery, and unsatisfactory overall results. Minor irregularities can sometimes arise (e.g., in certain instances when incisions have not healed in an ideal way or when contour irregularities arise in the healing process. Office-based postoperative treatments are usually available to help minimize these problems if they occur. You can help to lessen certain risks by following the professional advice given by Dr. Minoli and his staff. HOW SHOULD YOU PREPARE FOR LIPOSUCTION SURGERY? We want your surgical experience to be as easy and comfortable as possible. If you are a smoker, you will be asked to stop smoking well in advance of surgery. Aspirin, certain anti-inflammatory drugs, and an array of supplements (e.g., fish oil, flaxseed oil, garlic supplements, green tea & Vitamin E) can cause increased bleeding, so you should avoid taking these medications & supplements well in advance of surgery. 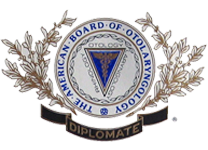 Dr. Minoli and his staff will advise you and provide additional preoperative instructions. Your liposuction surgery may be performed in a hospital, free-standing ambulatory facility or office based surgical suite – depending on the extent of the operation. Medications are administered for your comfort during the surgical procedure. Dr. Minoli (and your anesthesiologist if such is the case) will determine with you what type of anesthesia will be used – local anesthesia, intravenous sedation, or general anesthesia. For your safety during the operation, various monitors are used to check your blood pressure, pulse, and circulating oxygen. You will be returning to Dr. Minoli’s office at regular intervals so that your postoperative progress can be properly evaluated. During the first few postoperative days the treated areas may be tender, but this usually subsides later in the 1st week or so. In the early stages of recovery (the first 2 or 3 days especially) washings must be done in a gentle manner; and in fact, specific instructions are given to each patient. The day after surgery, you will be encouraged to get out of bed for short walks to promote blood circulation. Straining, bending and lifting must be avoided, since these activities may cause increased swelling or even bleeding. You may be instructed to sleep on your back with a pillow under your knees. As the 1st postoperative week progresses you will likely be gaining a bit more independence. Sutures usually dissolve, but if they persist beyond the 1st week they are removed. Bruising and swelling, common during the first few postoperative days, subside during the 2nd week. Within the first few days walking will be easier, and driving privileges will likely resume. AFTER LIPOSUCTION SURGERY, WHEN WILL YOU RESUME NORMAL ACTIVIITIES? It is important to realize that the amount of time it takes for recovery varies greatly among individuals. Straining, bending and lifting should be avoided during the early postoperative period. Depending on the extent of your liposuction surgery – and your general physical condition – you may be able to return to non-strenuous work in a few days. Any sexual activity should be avoided for a minimum of 1 week. And vigorous activities, especially extended arm movements, should be restricted for a few days. In many instances, you can resume most of your normal activities, including some form form of mild exercise, within 1 week. You may continue to experience mild periodic discomfort and swelling during this time, but such feelings are normal. Severe pain should be reported. In general, the timing of your recovery depends largely on the extent of your surgery and your individual healing capacity. AFTER LIPOSUCTION SURGERY, HOW WILL YOU LOOK INITIALLY? Bruising & swelling, common during the 1st week, begin to subside noticeably during the 2nd week. In a broader sense: It takes about 6 weeks after surgery to pass social scrutiny … & 6 months or more before residual lumps & bumps soften & dissipate. Incisions will initially be red or pink in color: They will remain this way for many months following surgery – and may even appear to worsen before they fade – but eventually incisional scars fade. There may also be numbness in some areas; it may take months before feeling returns. Of course, Dr. Minoli will help guide you through these milestones. You should be up and gently about during the first few days following surgery; but without strain. Your dressings will be removed temporarily in the days following surgery so that Dr. Minoli can examine the treated areas. Depending on the liposuction technique, you may be instructed to wear a supportive garment for a while. Any suture removal usually occurs within 10 days; but often, these are dissolvable. A full shower or bath is usually permissible on the 2nd or 3rd postoperative day. It is important to realize that recovery time varies greatly among individuals. Please remember that your relationship with our staff does not end when you leave the operating room. Since the healing process is gradual, you should expect to wait up to 1 year to see the final results of your liposuction surgery. 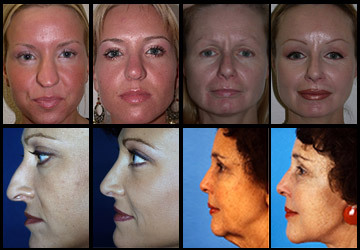 You are likely, however, to begin enjoying the initial stages of your new appearance within a few weeks after surgery. Occasionally, a touchup may be desired to further improve results: Any additional procedure typically would be far less extensive than the original operation … and is usually performed under local anesthesia in an office setting. If you have any questions or concerns during your recovery, or need additional information at a later time, please contact us. WHAT ARE THE RESULTS OF LIPOSUCTION SURGERY LIKE, AND HOW LONG DO THE RESULTS LAST? The results of your liposuction surgery may be dramatic or subtle, depending on how you looked before surgery as well as the specific goals that you and Dr. Minoli establish. Since the healing process is gradual, you should expect to wait at least several weeks before being able to appreciate your “new look.” Modest changes may continue to occur over several months to a year. Scars will fade over time; but no matter what, incisions create scars – and scars are permanent. Most incisions heal nicely; but some scars are more noticeable. Fortunately, liposuction surgery scars are usually concealed by natural body creases or actual clothing. Occasionally, a touch-up revision may be desired to further improve a contour or a scar. The additional treatment can usually be performed under local anesthesia in Dr. Minoli’s office. You will return to Dr. Minoli’s office for follow-up care at prescribed intervals, at which time your progress will be evaluated. This postoperative period typically spans the first year following surgery, and certainly beyond if needed. Please remember that the relationship with Dr. Minoli and his staff does not end when you leave the operating room, but continues. 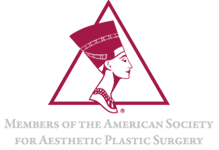 If you have questions or concerns during recovery Dr. Minoli and his staff will be available to respond.